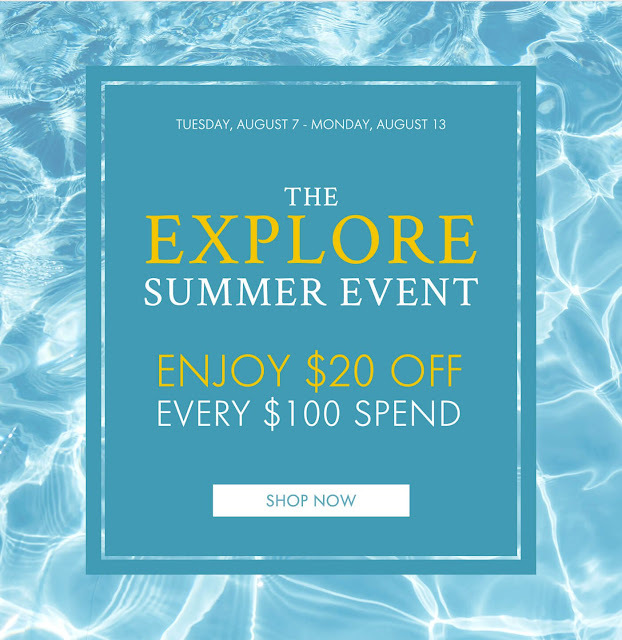 SPACE NK THE EXPLORE THE SUMMER EVENT: ENJOY $20.00 OFF EVERY $100 SPENT! Online and in-store. Automatically applied to your shopping bag page. Available on full-price products only. Ends on Monday, August 13, 2018 at 11:59pm PST. Maximum to qualify for discount is $2000.00. Visit: www.spacenk.com (Affiliate Links).